The relationship between coffee and health has been steeped in scientific controversy for years. Scientists used to think that coffee was just a short-term boost in energy with long-term health consequences. But, recent research indicates that not only is coffee safe to drink, it can actually help you fight aging, possibly lower blood sugar and support a healthy liver. In this blog post, we'll straighten out all the research for you and outline how you can use blood data to get the biggest boost from your daily cup of Joe. Coffee controversy: is it healthy or not? Clearly, people like coffee: it’s affordable, accessible, and provides that nice boost you need to power through the day. But for decades, its impact on the human body has remained controversial. However, there's good news: the bulk of modern-day research suggests that coffee consumption is not only safe for most people who enjoy its taste, it may actually help your health in a variety of ways! Can coffee add years to your life? 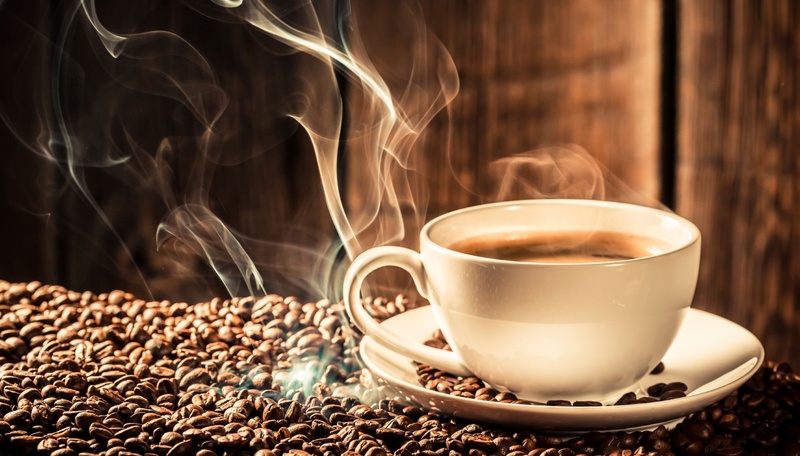 Coffee may help you fight aging. In a 13 year-long observational study, published in the New England Journal of Medicine, medical researchers examined the association between mortality and coffee consumption. They used data from a large-scale study from the National Institutes of Health, called the AARP Diet and Health Study, that included over 402,260 subjects (about 57% men and 43% female). All subjects were between 50 - 71 years of age at the beginning of the study in 1995. The researchers noted how many cups of coffee each participant drank per day and then followed them until 2008. InnerAge is a feature and a blood panel available from InsideTracker. The chart above illustrates how choices and behaviors influence one's biological aging, versus one's chronological "Inner" age. Researchers also noted significant, inverse associations between coffee consumption and death due to infections, diabetes, heart disease, stroke, and injuries. 7 These inverse associations were also observed in people who had never smoked and individuals who reported “very good” or “excellent” health status at the beginning of the study. 7 However, they noted no inverse association between coffee consumption and risk of death from cancer. The findings of this study are supported by several others. Last month, researchers from Harvard School of Medicine and Public Health noted a significant, inverse association between coffee consumption and mortality in three different studies with a total of 300,000 subjects. The Harvard researchers concluded that “higher consumption of total coffee, caffeinated coffee, and decaffeinated coffee was associated with lower risk of total mortality.” 8 They also observed something else interesting: there was no significant difference between regular and decaf coffee and risk of death! These research studies are promising. However, it's important to keep the findings in perspective. All of these studies were observational. This means that they cannot establish a clear causal relationship as to why coffee consumption led to lower death. Additionally, there are many other nutrition and lifestyle interventions that fight aging and may possibly extend life. Still, such studies do provide compelling evidence that your habit of drinking one or two (or four) cups of coffee per day might have a beneficial effect on the aging process. Key Takeaways: Several observational studies show an inverse association between coffee consumption up to 5 cups per day and risk of death. However, a clear causal relationship between coffee and longevity cannot be established. Recommendations: If you drink coffee or want to start drinking it, use InsideTracker’s InnerAge to see what impact it has on aging-related biomarkers such as C-reactive protein (CRP) and glucose. If you don’t want to drink coffee or can’t because it has a negative impact on your body, feel free to check out many of our other anti-aging interventions in our recommendation engine, included with each test. Can coffee lower your blood sugar? In 2009, the American Medical Association published a meta-analysis assessing coffee’s impact on the incidence of developing type II diabetes. Typically, type II diabetes is defined as having a blood glucose greater than 125 mg/dL. 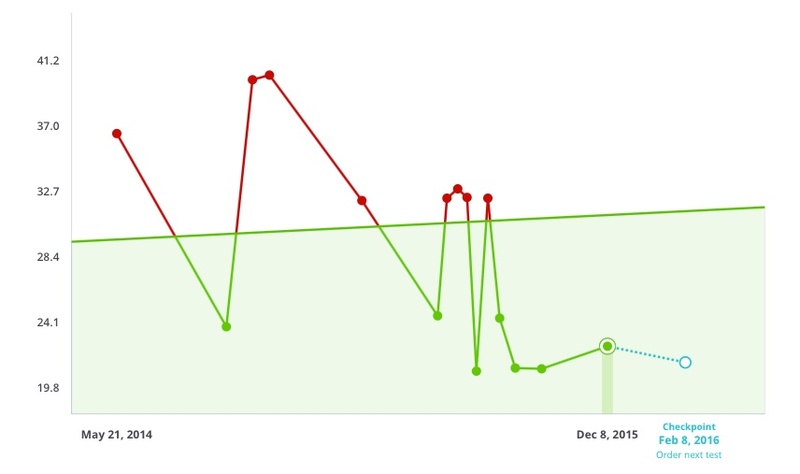 InsideTracker monitors levels of blood glucose in its Ultimate and InnerAge panels and serves as a valuable indicator for aging, sleep quality, and even cognition. Second, none of the studies were randomized control trials which are typically regarded as the gold-standard of clinical trials as they have clear cause and effect. Third, the studies didn’t assess exact levels of blood glucose – just if the subjects developed type II diabetes or not. Finally, this isn’t a license to use sugar and cream with your coffee! Those will undo any glucose-lowering potential coffee has. Key Takeaways: Data from observational studies indicates that drinking coffee regularly helps lower blood sugar and prevents the onset of diabetes. Recommendations: If your blood sugar levels are elevated, consider adding a cup or two of black coffee a day and use InsideTracker to monitor your glucose. Detoxification diets, often shortened as “detox diets”, are all the rage now. Celebrities and doctors advocate exotic juices and teas to “cleanse” the body of harmful substances called “toxins." 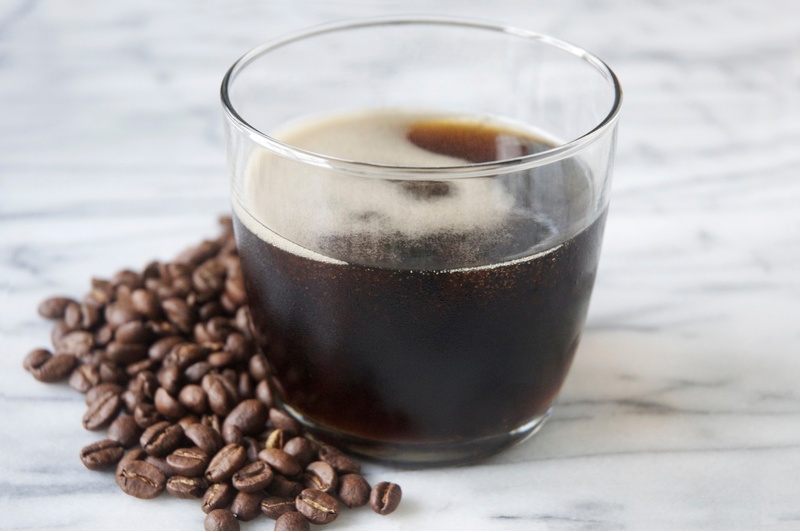 While most health claims about these products are unproven, some recent evidence suggests that the coffee might actually help the body break down toxins. In 2014, researchers assessed data on 27,793 subjects age 20 or older from a study called The U.S. National Health and Nutrition Examination Survey. The subjects had been monitored for 11 years. To measure the degree of toxicity, scientists collected data on three enzymes produced by the liver: alanine aminotransferase (ALT), aspartate aminotransferase (AST), and gamma-glutamyl transaminase (GGT) — all of which are measured in InsideTracker’s Ultimate Panel, by the way. Higher levels of these enzymes indicate greater levels of toxicity in the blood. Researchers discovered that drinking at least three or more cups of coffee per day resulted in an inverse relationship with abnormal levels of liver enzymes. This means that coffee drinkers, overall, were less likely to have abnormal liver enzymes, most likely due to lower levels of “toxins”. These results were strongest for individuals who drank at least an average of 3 cups of coffee per day. Another study on over 100,000 individuals illustrated strong inverse associations between coffee consumption and three liver enzymes, and cirrhosis of the liver, a condition in which the liver functions poorly due to long-term damage. 14 These observational studies on many subjects provide reasonable evidence that consuming coffee can help with detoxification. 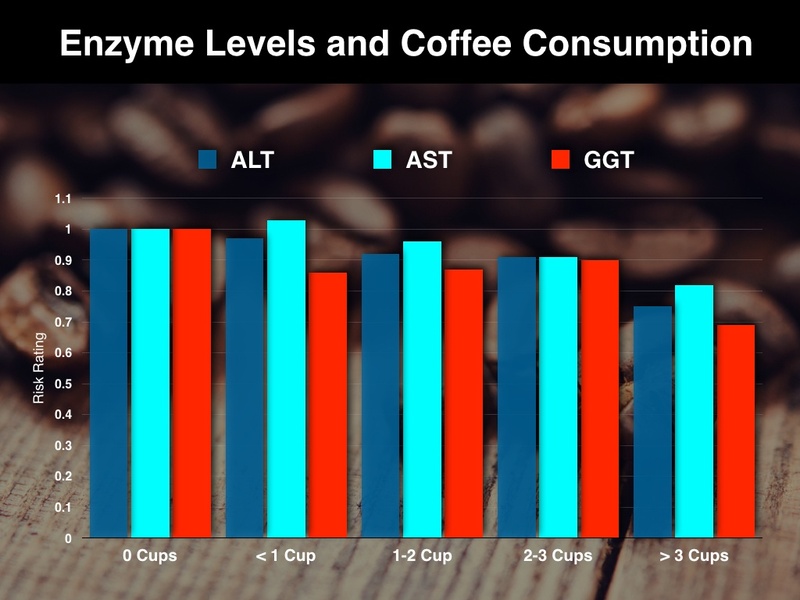 Key Takeaways: In observational studies, drinking three or more cups of coffee is associated with lower levels of the liver enzymes alanine aminotransferase (ALT), aspartate aminotransferase (AST), and gamma-glutamyl transaminase (GGT). Lower levels of these enzymes indicate a healthier liver. Recommendation: If your levels of liver enzymes are high or you want to go on a detox cleanse, ditch the unproven juice cleanses and consider drinking up to three cups of coffee a day. Make sure it is unfiltered and monitor your liver enzymes (and personal health) to see how it affects you. Despite coffee’s many health benefits, there is one thing to watch out for: drinking too much coffee can increase levels of fat molecules called triglycerides and LDL cholesterol (often referred to as the “bad cholesterol”). High levels of these molecules in the blood can damage heart health and lead to other chronic diseases. 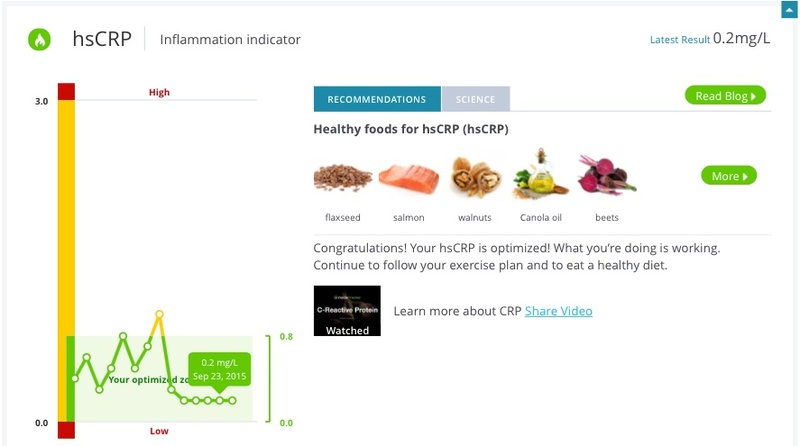 All of these molecules are critical indicators of health and measured by InsideTracker. So, does this mean you should drop coffee altogether? Not necessarily. Some research indicates that coffee contains substances called dipterines that increase cholesterol. 16 Dipterines can easily be removed by using any filter, including of the paper variety. Ditch the sugar & cream! Most importantly, if you don’t feel good after drinking coffee or just don’t like the taste... don’t drink it! After learning all about how coffee can benefit your health, you might be wondering...what's coffee's story? Literally. Coffee is everywhere. It fills cups at breakfast to give millions of people across the world the jolt of energy they need to start the day. So what's the history behind this omnipresent drink? The first documented use of coffee is in the Sufi Shrines of Yemen and in Medieval Ethiopia during the 15th century. 1 This makes it relatively "newer" than its main competitor, tea, which traces its origins back to thousands of years earlier. 2 By the end of the 16th century, coffee was widely consumed all throughout the Islamic world. In 1615, Italian merchants introduced coffee to Europe and it eventually caught on like wildfire in the Western world. 1 It was cheaper than tea, more caffeinated than chocolate, stimulated liveliness and humor but didn’t leave people with a hangover like wine. You can learn more about coffee’s interesting history by visiting the James Ford Bell Library website (University of Minnesota). Your morning Joe may help your InnerAge, but what impact do the rest of your biomarkers have on your health? We've created this handy biomarker eBook for reference... and it's yours to download, for FREE! 1. "What is coffee?". National Coffee Association of USA. 2015. Retrieved 7 December 2015. 2. Heiss, Mary Lou, and Robert J. Heiss. The story of tea: a cultural history and drinking guide. Random House LLC, 2007. 4. National Coffee Association. "National coffee drinking trends 2009." New York (2010). 5. Castellanos, F. X., and J. L. Rapoport. "Effects of caffeine on development and behavior in infancy and childhood: a review of the published literature." Food and Chemical Toxicology 40.9 (2002): 1235-1242. 6. Troyer, Ronald J., and Gerald E. Markle. 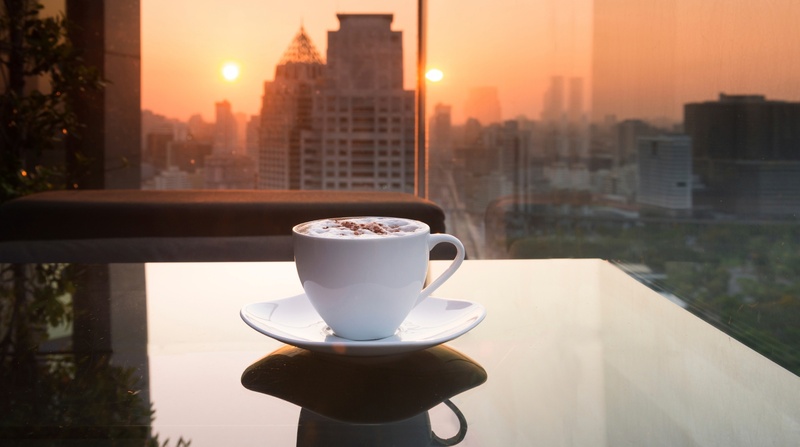 "Coffee drinking: an emerging social problem?." Social Problems (1984): 403-416. 7. Freedman, Neal D., et al. "Association of coffee drinking with total and cause-specific mortality." New England Journal of Medicine 366.20 (2012): 1891-1904. 8. Lopez-Garcia, Esther, et al. "The relationship of coffee consumption with mortality." Annals of internal medicine 148.12 (2008): 904-914. 9. Ding, Ming, et al. "Association of Coffee Consumption with Total and Cause-Specific Mortality in Three Large Prospective Cohorts." Circulation (2015): CIRCULATIONAHA-115. 10. Huxley, Rachel, et al. "Coffee, decaffeinated coffee, and tea consumption in relation to incident type 2 diabetes mellitus: a systematic review with meta-analysis." Archives of internal medicine 169.22 (2009): 2053-2063. 11. Xiao, Qian, et al. "Inverse associations of total and decaffeinated coffee with liver enzyme levels in National Health and Nutrition Examination Survey 1999‐2010." Hepatology 60.6 (2014): 2091-2098. 12. Casiglia, E., et al. "Unexpected effects of coffee consumption on liver enzymes." European journal of epidemiology 9.3 (1993): 293-297. 13. Ruhl, Constance E., and James E. Everhart. "Coffee and caffeine consumption reduce the risk of elevated serum alanine aminotransferase activity in the United States." Gastroenterology 128.1 (2005): 24-32. 14. Ruhl, Constance E., and James E. Everhart. "Coffee and tea consumption are associated with a lower incidence of chronic liver disease in the United States. "Gastroenterology 129.6 (2005): 1928-1936. 15. Cai, L., et al. "The effect of coffee consumption on serum lipids: a meta-analysis of randomized controlled trials." European journal of clinical nutrition66.8 (2012): 872-877. 16. Bak, Annette AA, and Diederick E. Grobbee. "The effect on serum cholesterol levels of coffee brewed by filtering or boiling." New England Journal of Medicine321.21 (1989): 1432-1437.